Who remembers the Australia Games? Studio 10 presenters Jessica Rowe and Jonathan Coleman are among the many to feature in this year’s Australia Day Honours List. From her early career at the Nine Network and at regional Prime Television, Rowe went on to read the 5.00pm news for Network Ten in Sydney for many years. She later co-hosted Nine’s Today and appeared on Seven’s The Night Cap and Weekend Sunrise. Since 2013 she has been one of the co-hosts on Ten’s Studio 10. 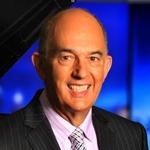 Coleman was awarded a Medal of the Order of Australia (OAM) “for service to the broadcast media industry, and to the community.” He first came to fame in 1979 as a reporter for Simon Townsend’s Wonder World. He later co-hosted Saturday Morning Live, Late Night With Jono And Dano and Have A Go for the Seven Network. For many years he worked overseas in radio and television before making a comeback in Australia as co-presenter on Studio 10. The Honourable Richard Alston — “For distinguished service to the Parliament of Australia, to international relations through diplomatic roles, to business development in diverse sectors, and to the community.” The former senator was Minister for Communications, Information Technology and the Arts from 1996 to 2003 — a period when Australia’s television industry was making the transition from analogue to digital. Roy Billing — “For service to the performing arts, particularly as an actor, and to the community.” Billing is an actor whose television credits include Police Rescue, Hey Dad!, Hampton Court, A Country Practice, GP, Home And Away, Water Rats, Murder Call, Always Greener, The Strip, Blue Heelers, Packed To The Rafters, All Saints, Micro Nation, Cliffy and Rake. He had the leading role of ‘Aussie Bob Trimbole’ in Underbelly. Wendy Borchers — “For significant service to the film and television industry as a researcher, producer and archivist, and to the preservation of Indigenous heritage.” Borchers began at the ABC in 1967 and in her capacity of archivist was co-author of the book 50 Years: Aunty’s Jubilee – Celebrating 50 years of ABC TV and was archival researcher for ABC’s 75th anniversary website in 2007. She has also been a researcher for SBS, BBC and the Seven, Nine and Ten networks. Mark Bouris — “For significant service to the finance industry, particularly the home loan mortgage sector, to education, and to charitable organisations.” Bouris has appeared on television as host of the reality series The Apprentice and its spin-off The Celebrity Apprentice. Elaine Canty — “For significant service to the community through roles with botanic, health, business and sporting organisations, and as a radio broadcaster.” Canty was the first female sports commentator for ABC radio and television in Victoria in the 1980s. 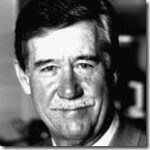 William Cowan — “For significant service to the community through educational, medical research and arts organisations, and to business.” Cowan was the managing director of Southern Cross Broadcasting from 1983 to 1989 and a non-executive director from 1989 to 1995. He was also Chairman of the Australian Children’s Television Foundation from 1985 to 1987. Marcia Hatfield — “For service to the media, particularly to children’s television and to publishing.” Hatfield created the children’s cartoon The Toothbrush Family in the late 1960s, which went on to be picked up by US television. She was also a freelance writer for shows including Number 96, Divorce Court, The Young Doctors, The Super Flying Fun Show, Phoenix Five, Yellow House, Homicide and Certain Women. She was also an executive committee member of the Australian Children’s Television Foundation. She won an Emmy Award in 1981 for The Toothbrush Family. George Negus — “For significant service to the media as a journalist and television presenter, and to conservation and the environment.” Negus was one of the founding reporters for 60 Minutes and was later a co-host of Today. Negus’ other TV credits have included This Day Tonight, Foreign Correspondent, George Negus Tonight, Dateline, 6PM With George Negus and The Project. Judy Nunn — “For significant service to the performing arts as a scriptwriter and actor of stage and screen, and to literature as an author.” Nunn was an actor in Seventies drama series The Box and later appeared in Prisoner and Sons And Daughters before a lengthy stint as Ailsa Stewart in Home And Away. She has also been a script writer for Possession and Neighbours. Gerald Stone — “For significant service to print and broadcast media as a journalist, editor, television producer and author.” American-born Stone was a reporter for ABC‘s This Day Tonight in the 1960s and later news director for the Nine Network. He was the founding executive producer of 60 Minutes in 1979. After a stint in the US, Stone was head of current affairs for the Seven Network in the early 1990s and was a board member and deputy chairman of SBS during the 2000s. He has also written books Compulsive Viewing and Who Killed Channel Nine. 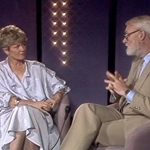 David Stratton — “For significant service to the film industry as a critic and reviewer, and as a promoter and ambassador for Australian cinema.” Stratton was the film consultant and presenter at SBS from its inception in 1980. With Margaret Pomeranz he co-hosted The Movie Show for SBS from 1986 to 2004 and At The Movies for ABC from 2004 until late last year.